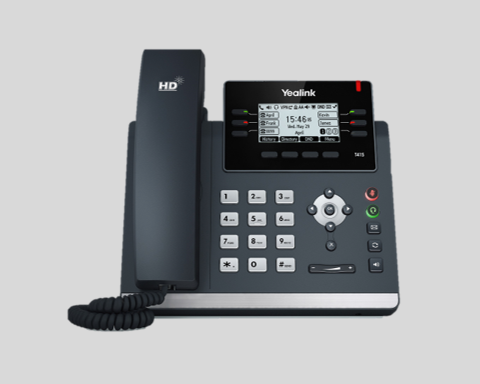 Yealink SIP-T40G is a feature-rich SIP phone that enhances daily interoperability and unifies communications for busy managers. 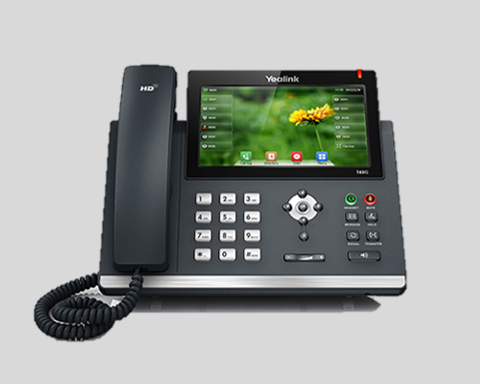 Designed with a revolutionary new appearance, it supports flexible and secure provisioning (the phone utilizes industry-standard encryption protocols for users to provision and perform software upgrades both in-house and remotely), this advanced IP phone is intuitively designed with ease-of-use in mind. 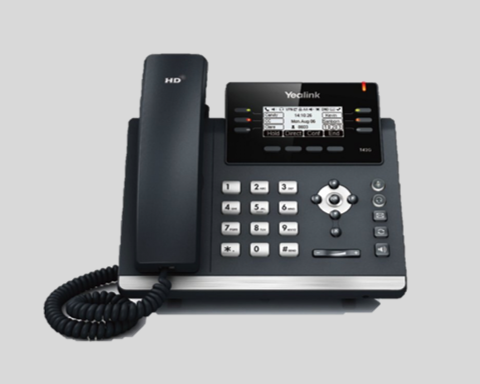 The T40G is also built with the Gigabit Ethernet for rapidly facilitating call handling, and its programmable keys help boast extensive productivity-enhancing features, like BLF, SCA, call transfer, etc. 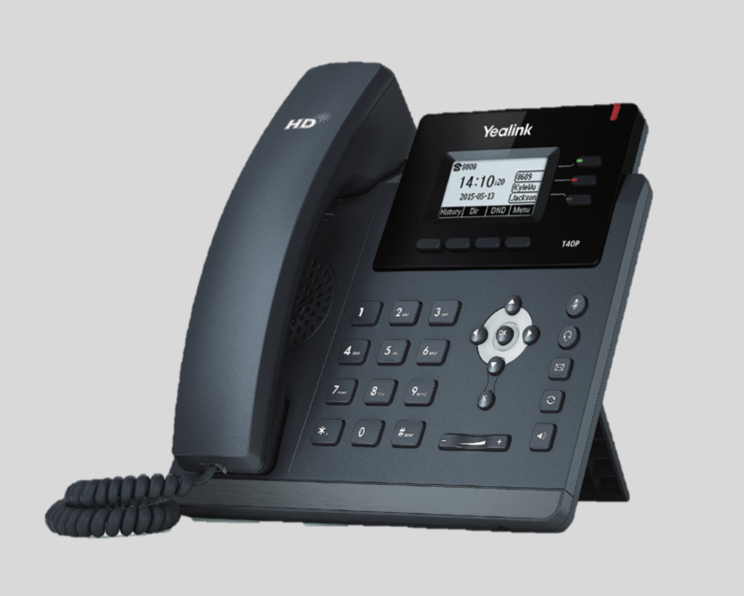 Meanwhile, equipped with the feature of Power over Ethernet (PoE), superb high definition (HD) sound quality and a rich visual experience, the SIP-T40G IP Phone maximizes your personal productivity in a superior way. label-free design, simple-to-use foot stand, non-slip rubber feet and ergonomic recessed buttons. 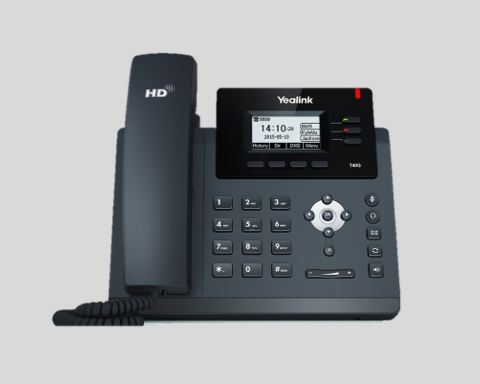 Yealink’s Optima HD Voice refers to the combination of software and hardware design as well as the implementation of wideband technology and advanced acoustic elements, such as duplex, echo cancellation and adaptive jitter buffer, in order to maximize the product’s acoustic performance. All of these create an amazing unparalleled face-to-face, live experience. users to control his or her phone through wireless headset directly. Integrated IEEE 802.3af (PoE) allows for easy deployment with centralized powering and backup. The SIP-T40G supports FTP, TFTP, HTTP, and HTTPS protocols for file provisioning and is configured by default to use Trivial File Transfer Protocol (TFTP). Additionally, the phone supports AES encrypted XML configuration files. The SIP-T40G uses SIP over Transport Layer Security (TLS/SSL) in order to arm service providers with the latest technology for enhanced network security. 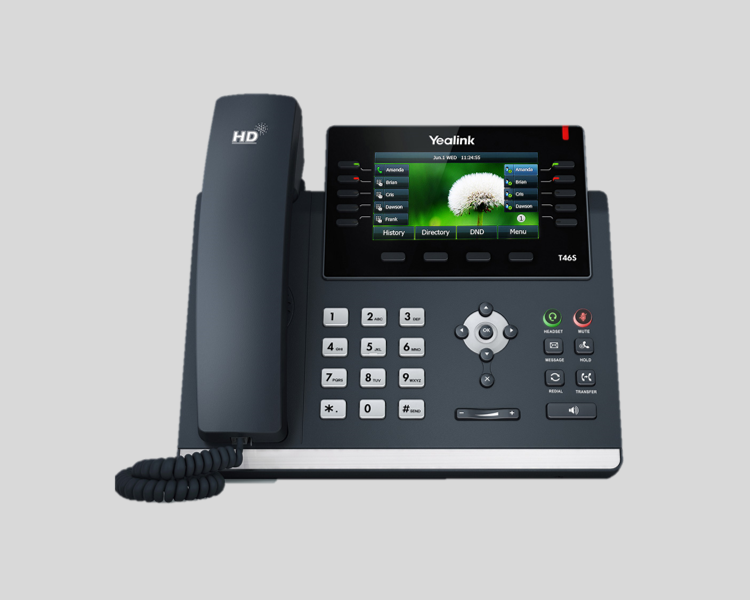 The entire T40G phone is certified with 3CX and BroadSoft Broadworks, being excellently compatible with leading soft switch suppliers to ensure the most seamless deployment and installation.